The American acoustic band Act of Congress will perform in concerts and hold masterclasses in Manila and Bulacan in the Philippines on September 12-16, 2012. The band’s visit to the Philippines is part of the American Music Abroad program of the U.S. Department of State’s Bureau of Educational and Cultural Affairs and the Association of American Voices. American Music Abroad is a people-to-people exchange that features a wide variety of American musical genres through international cultural exchange initiatives that will reach more than 40 countries around the world during 2012 and 2013. American Music Abroad builds on Secretary of State Hillary Rodham Clinton’s vision of “smart power” diplomacy, which embraces the use of a full range of diplomatic tools – in this case music – to bring people together and foster greater understanding. It also builds on the historic legacy of the Department of State’s Jazz Ambassadors, who first traveled the world in the 1950s to connect with people through music. Act of Congress - "Such Great Heights"
Act of Congress - "One Will Break"
Act of Congress, which hails from Birmingham, Alabama has an organic sound that combines hook-laden melodies, compelling songwriting, and intelligent acoustic instrumentation. The band has performed for the likes of Paste, XM radio, SXSW, Disney, NPR and Billboard. Act of Congress has previously won the IMWS Disc Makers Grand Prize and Colgate Country Showdown regional competition. 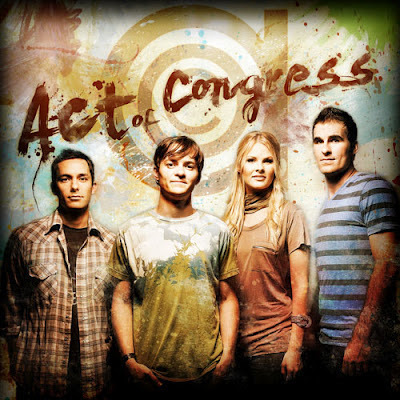 Also featured at the Alabama Music Educators Association (AMEA) conference in 2011 as a performer and guest artist, Act of Congress has gained recognition and invaluable experience in music education. In 2011, Act of Congress performed their original music with the Alabama Symphony Orchestra with orchestrations by Grammy-nominated composer Don Hart. Act of Congress was voted one of the “must see acts” of Alabama, and was featured in the prestigious 2011 Year of Alabama Music. Act of Congress - "She Knows Her Way Around"
The Philippine Tour of Act of Congress is jointly implemented by the Cultural Center of the Philippines (CCP) Cultural Exchange Department and the US Embassy Manila and its local partner organizations, the Barasoain Kalinangan Foundation of Bulacan, The Podium, 70s Bistro and the National Parks Development Committee. September 16, 5PM, at the Concert at the Park in Rizal Park, Manila. and Kalayo Band at 70s Bistro in Anonas, Quezon City. For more information, please call CCP Cultural Exchange Department at tel no. (632) 832-3674 and 8321125 locals 1708-1710.